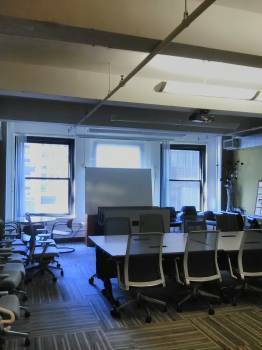 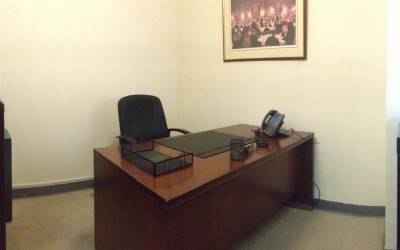 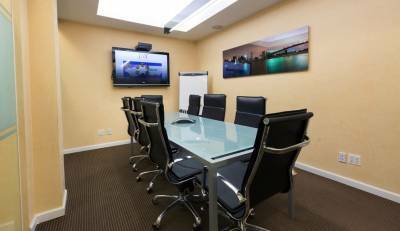 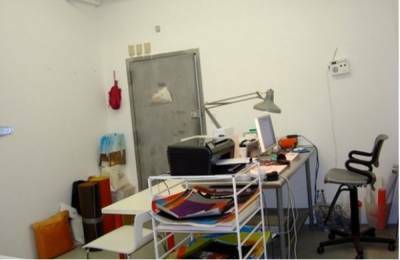 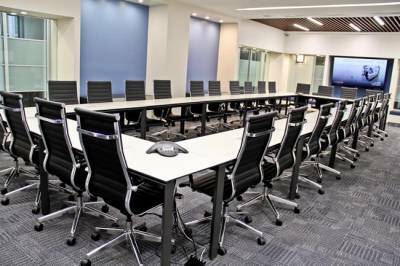 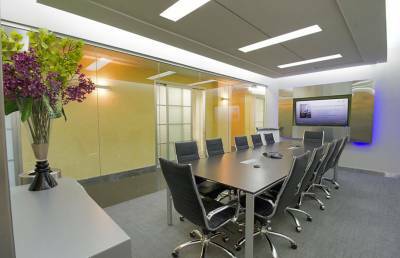 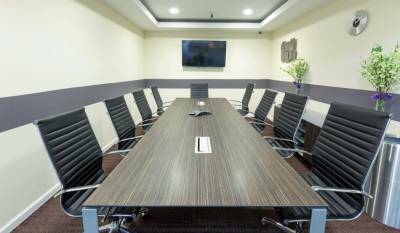 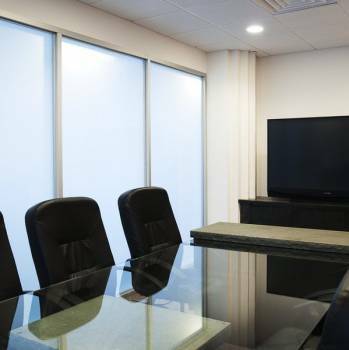 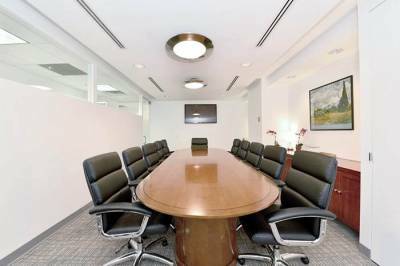 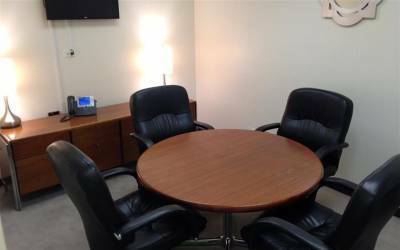 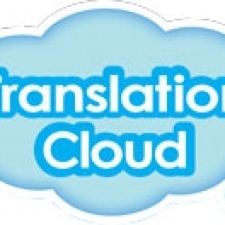 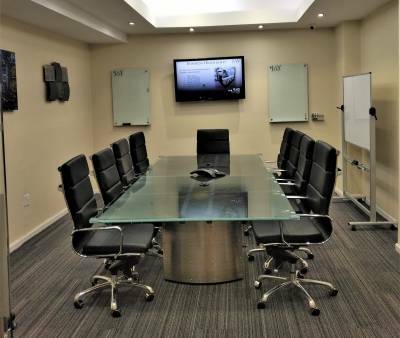 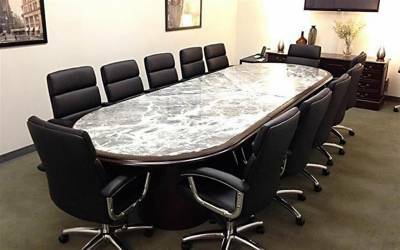 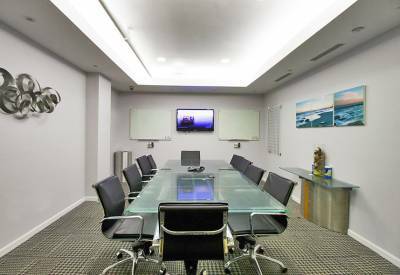 We have a conference room with a capacity of 10 people available for hourly or daily rent. 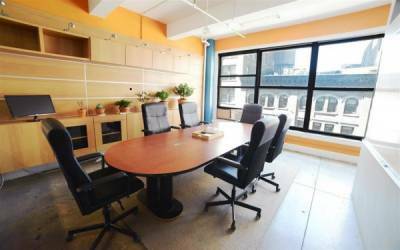 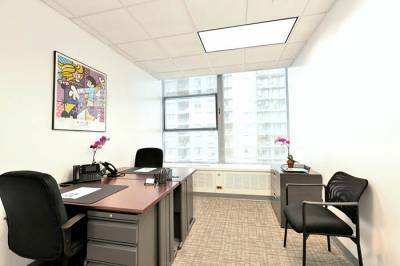 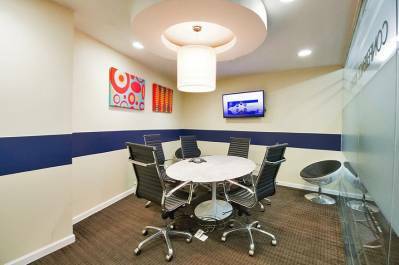 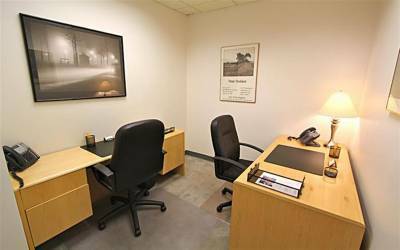 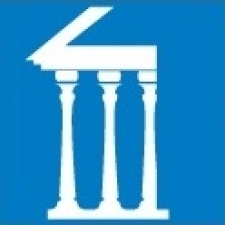 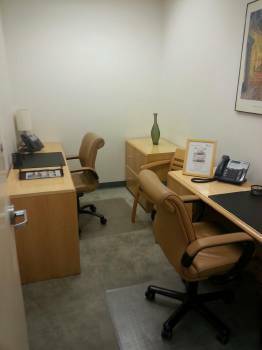 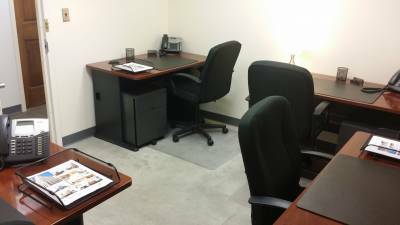 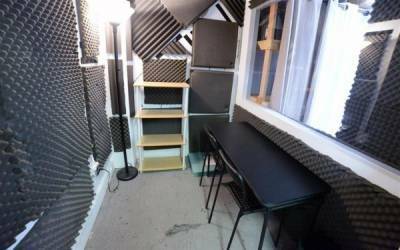 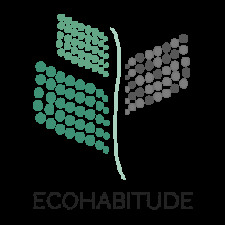 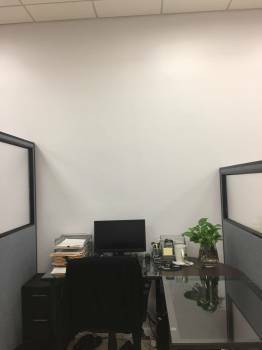 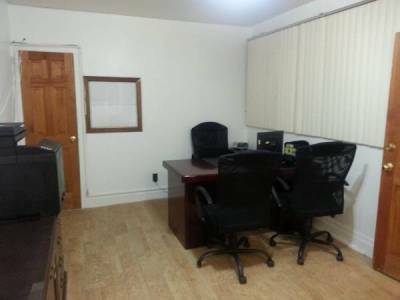 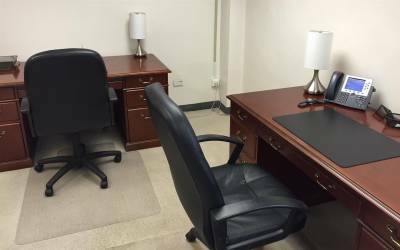 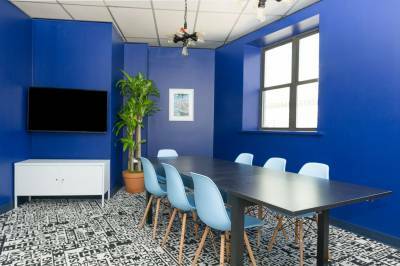 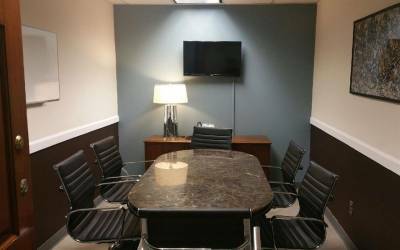 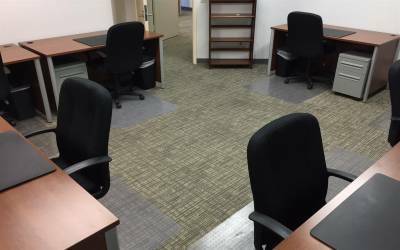 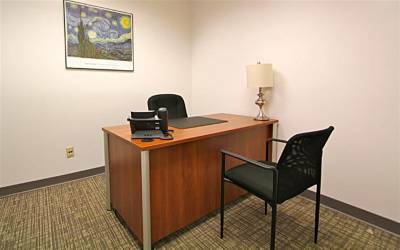 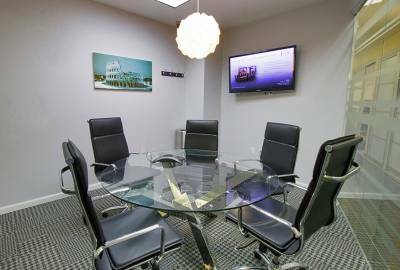 Both outside clients and our tenants are able to rent the conference room. 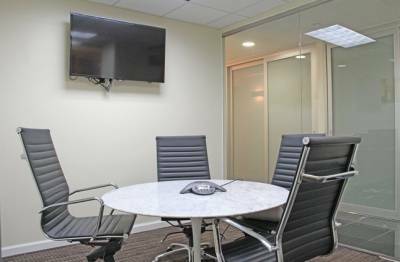 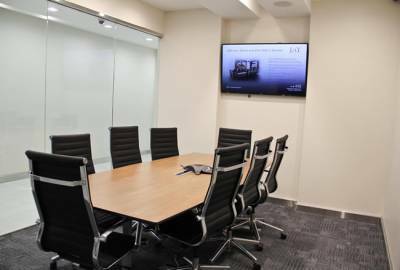 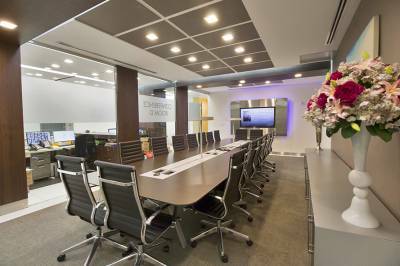 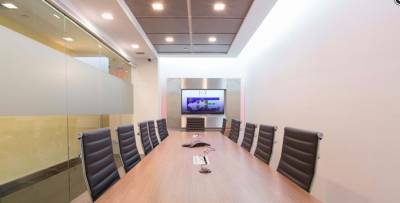 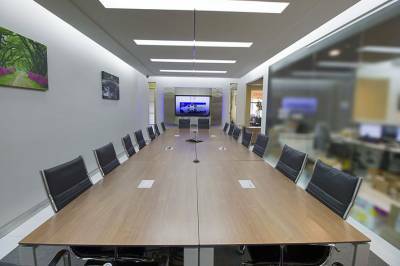 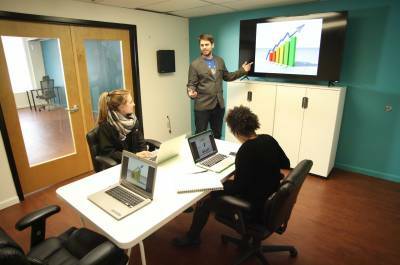 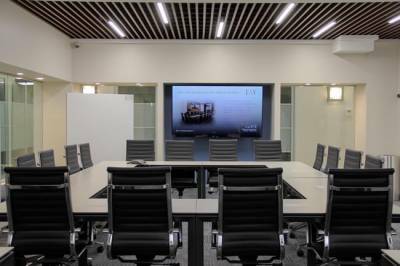 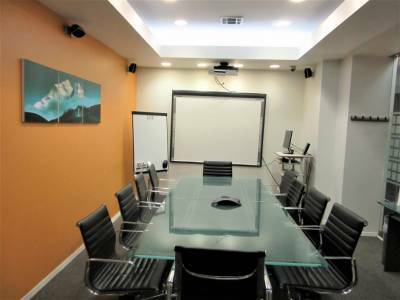 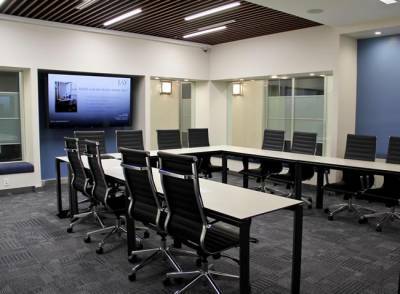 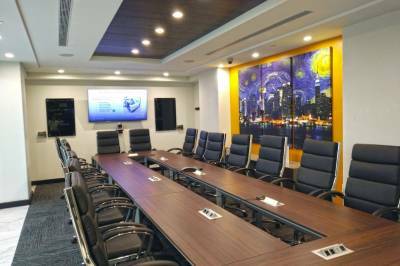 The conference room is equipped with a whiteboard, television screen, internet access, AV inputs, and on demand technical support. 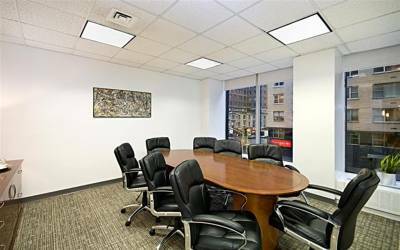 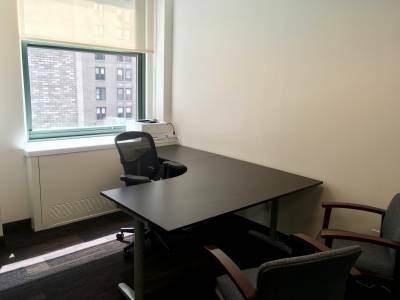 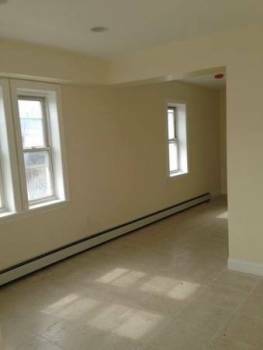 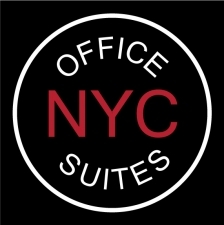 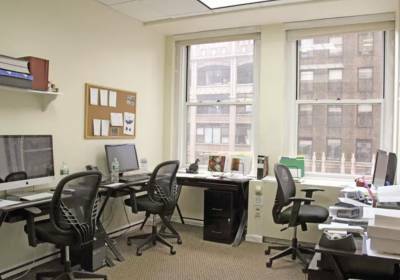 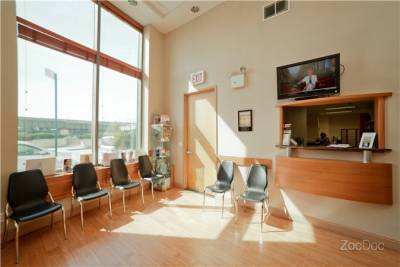 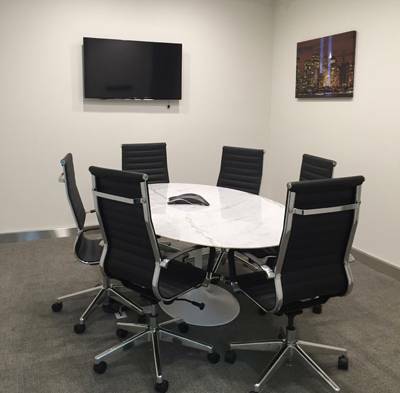 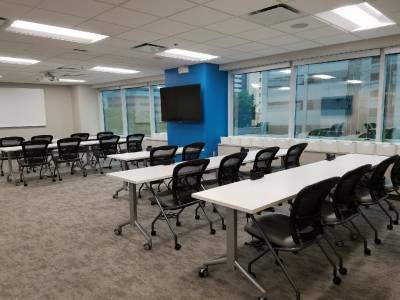 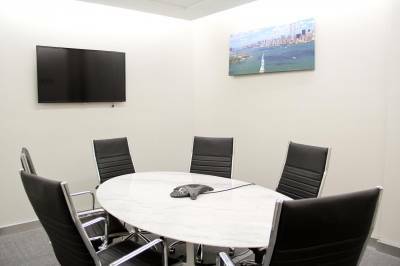 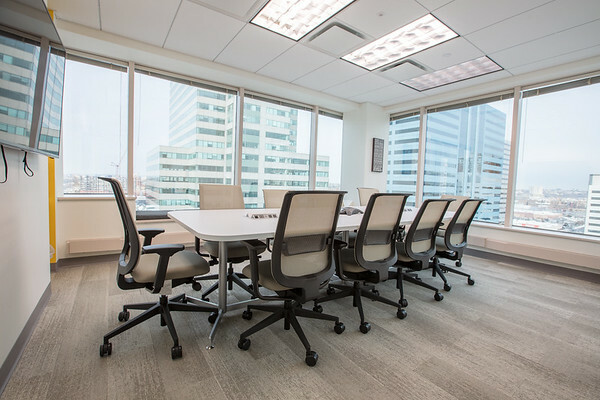 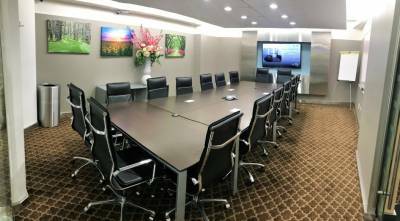 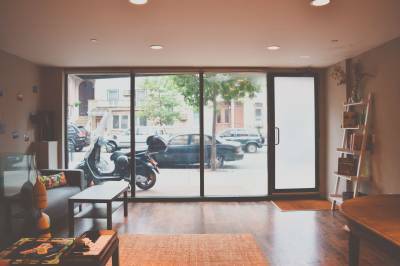 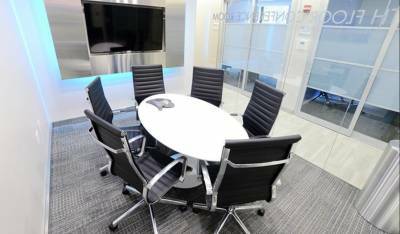 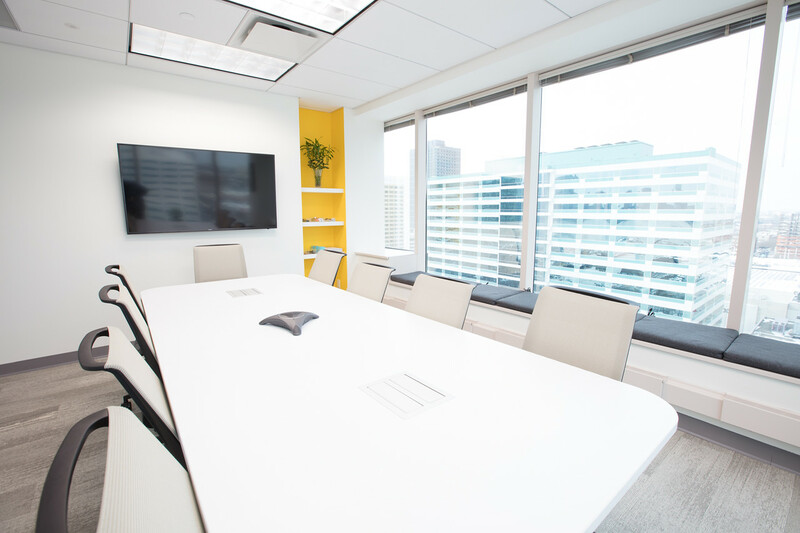 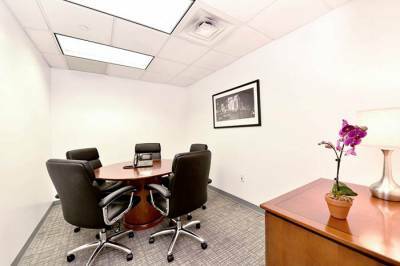 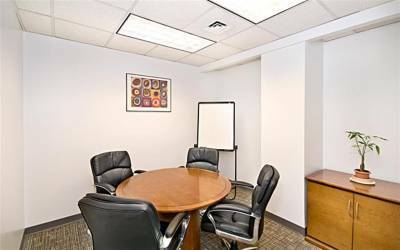 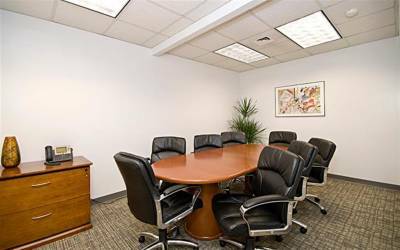 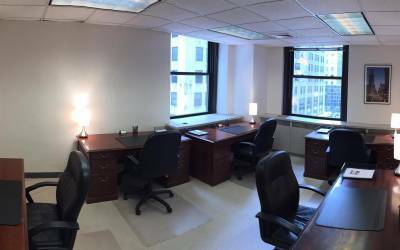 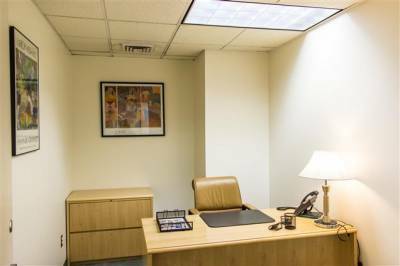 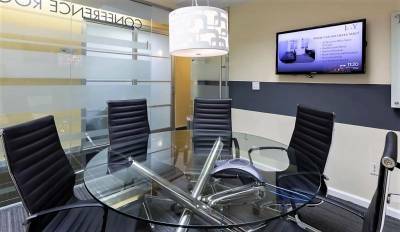 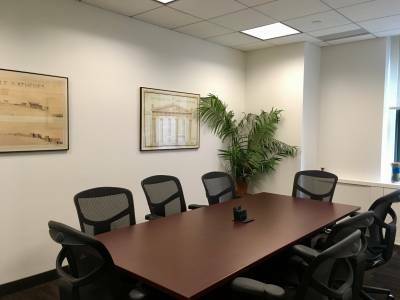 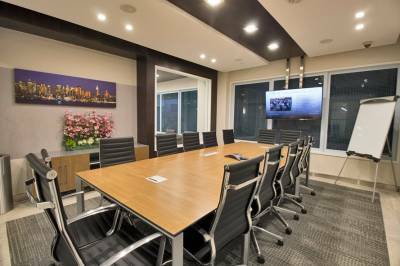 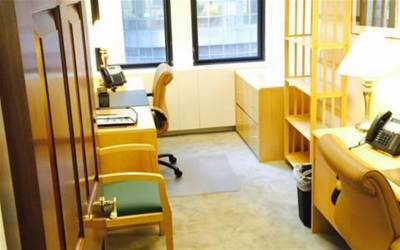 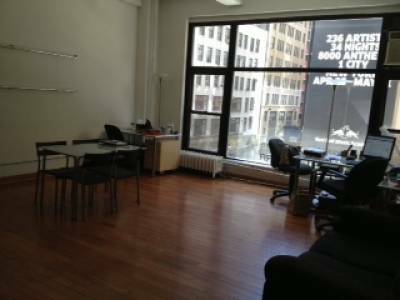 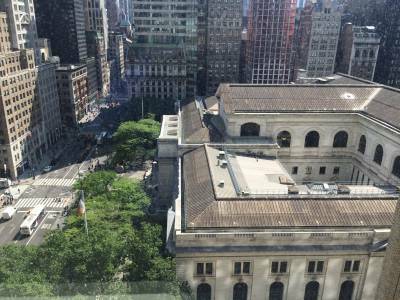 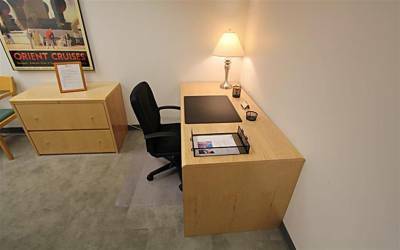 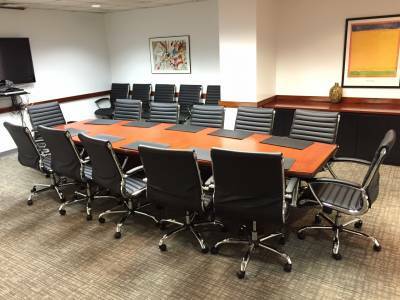 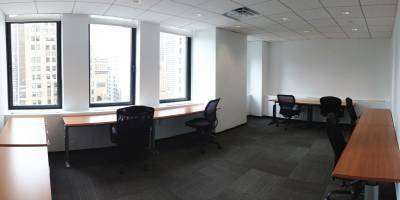 Our conference room has windows overlooking Jersey City and has a mini fridge fully stocked with bottled water. 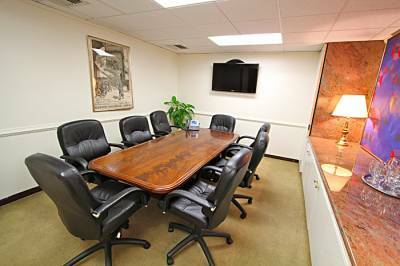 Conference room clients also have complete access to the coffee, tea, drinks, and snacks in our fully stocked kitchen. 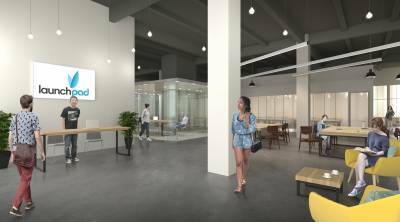 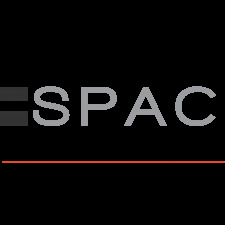 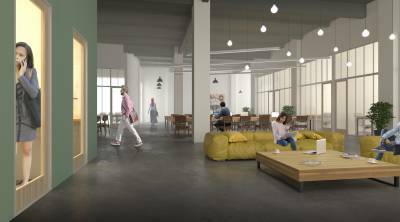 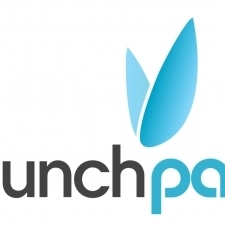 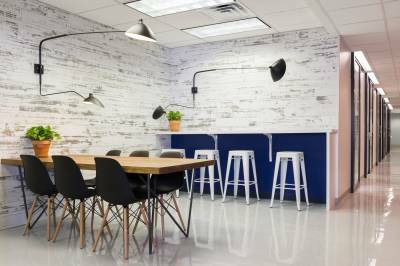 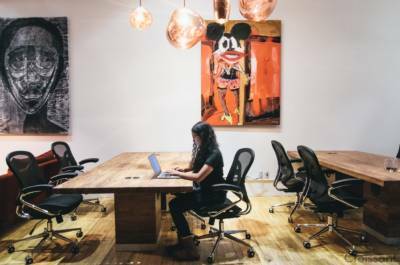 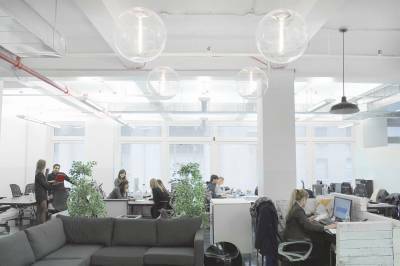 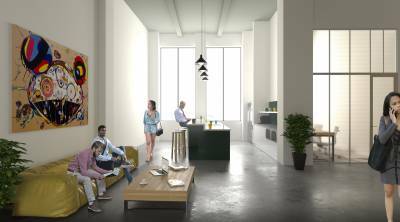 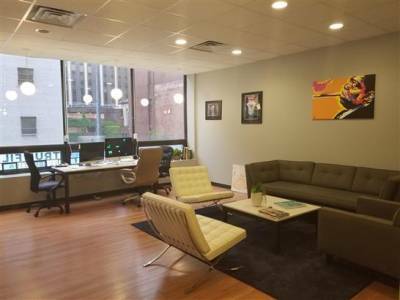 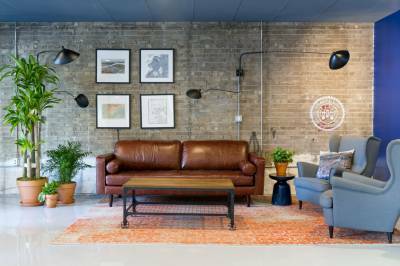 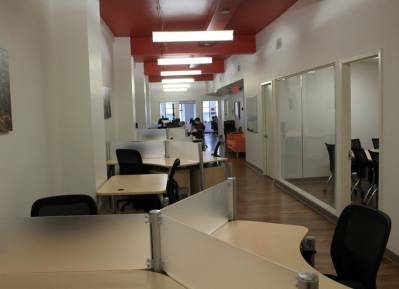 We are a leader in the shared office space industry, but we are more than a co-working space for entrepreneurs. 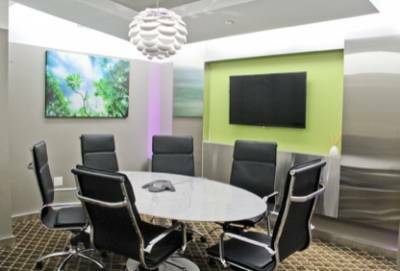 We supply members with comfortable state-of-the-art conference rooms, well-stocked kitchens, and most importantly the belief that their business matters. 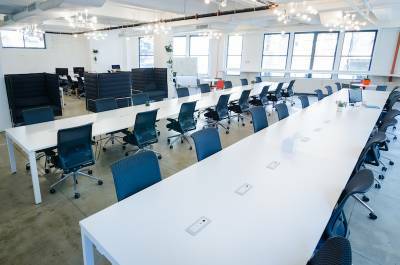 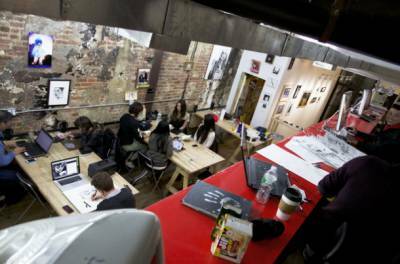 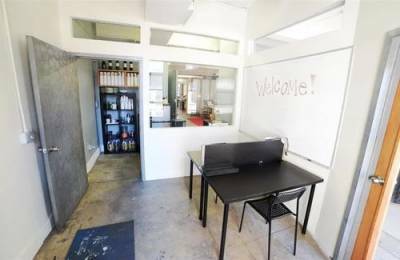 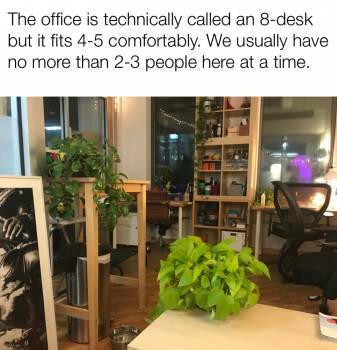 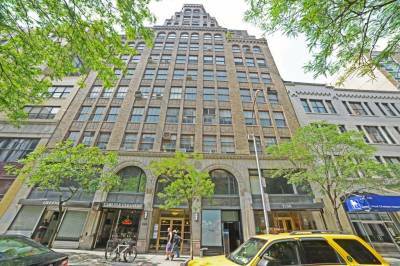 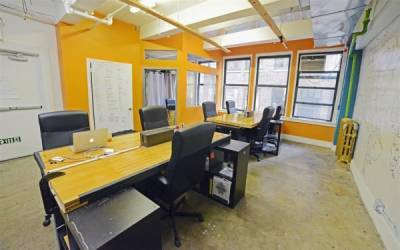 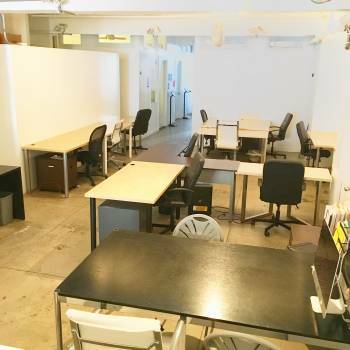 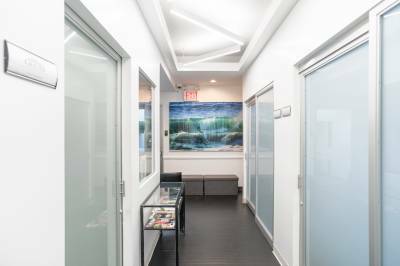 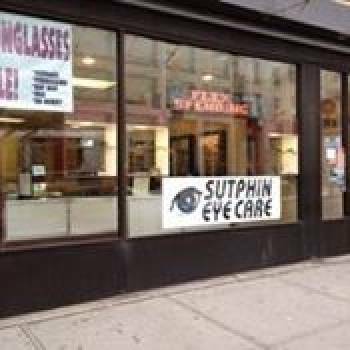 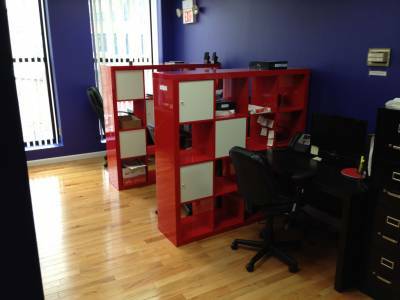 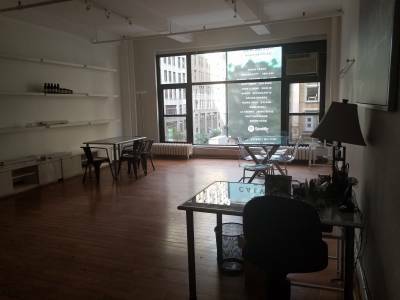 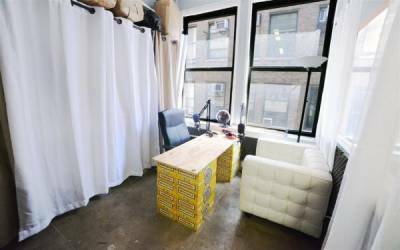 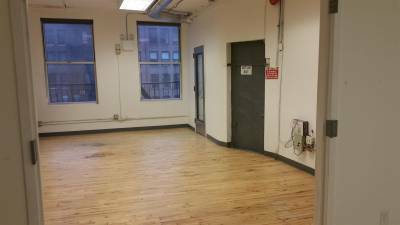 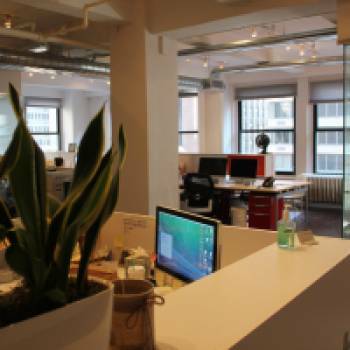 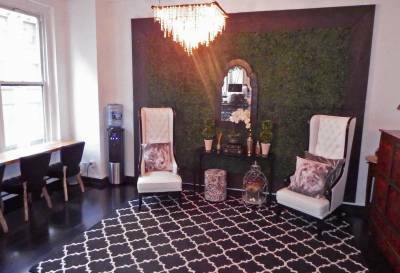 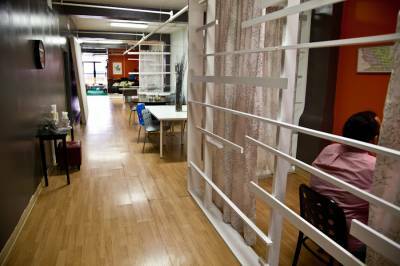 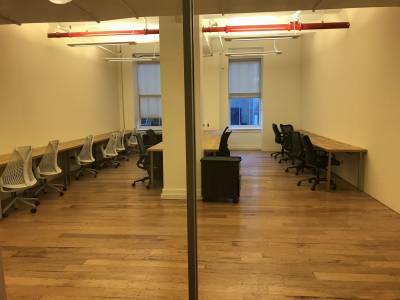 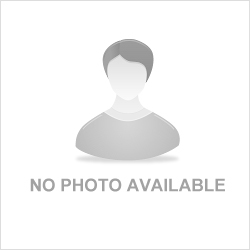 When we established the company, our mission was simple, we wanted to be more than a run-of- the-mill co-working space. 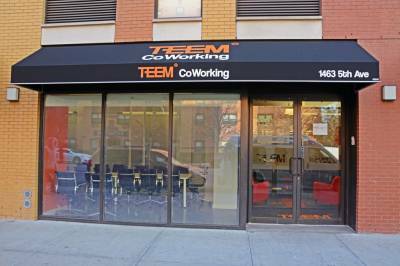 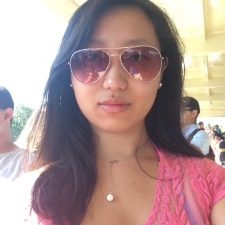 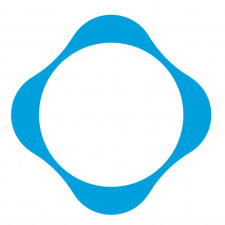 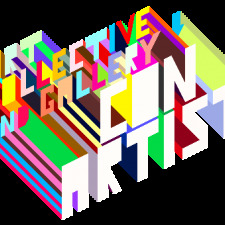 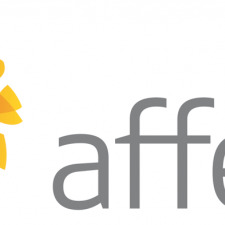 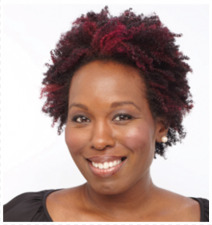 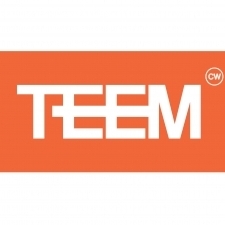 We wanted to become a movement that was driven by the fundamental spirit of entrepreneurship. 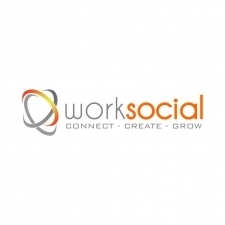 Tell worksocial what you like about their place, what matters most about your accommodation, or ask them a question .